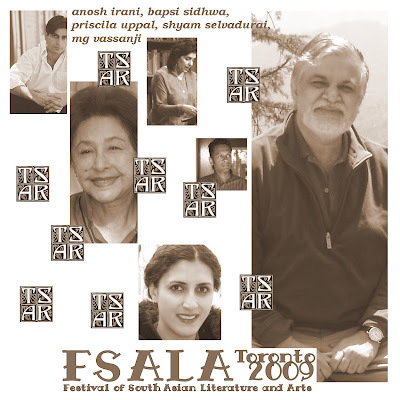 The Toronto South Asian Review (TSAR) organised a conference of writers of South Asian origin from the Indian subcontinent, the Caribbean and South and East Africa in 1983. It was a breakthrough event that formalised a genre in Canada. The conference resulted in a slim yet seminal volume A Meeting of Streams: South Asian Canadian Literature, edited by MG Vassanji. Last week (September 25 and 26) TSAR commemorated the ’83 conference by celebrating FSALA – the Festival of South Asian Literature and the Arts. My sole purpose of going to the event was to meet MG Vassanji. I met him briefly and introduced myself. He was too busy with the festival. Priscila Uppal, Ameen Merchant, Padma Viswanathan and Shyam Selvadurai were the speakers that evening. The poems Uppal read were fascinating, especially the one about her mother’s family. It had a memorable line of women in her mother’s family being unhappy in different languages. Selvadurai’s story of the troubled relationship between his mother and grandmother was searing. It had an unforgettable scene of his mother collecting coins that his grandmother had deliberately strewn across from the floor. Backbreaking housework kept me away from the next morning’s sessions. I did attend the evening session because I wanted to hear Bapsi Sidhwa. She read a passage from Ice Candy Man (now called Cracking India). 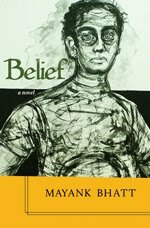 Deepa Mehta’s fantastic film Earth is based on this novel. Anosh Irani and Tahira Naqvi were the other writers who read from their works. The evening concluded with inDance’s exquisite dance performance The King’s Salon. I don't understand Bharatnatyam. I didn't need to. It was exquisite.